I finally got around to making my vegetable broth! I made 3 quarts so I have some to last me the next few days. Looking forward to sipping on it between meals. Chop all ingredients into even size pieces. 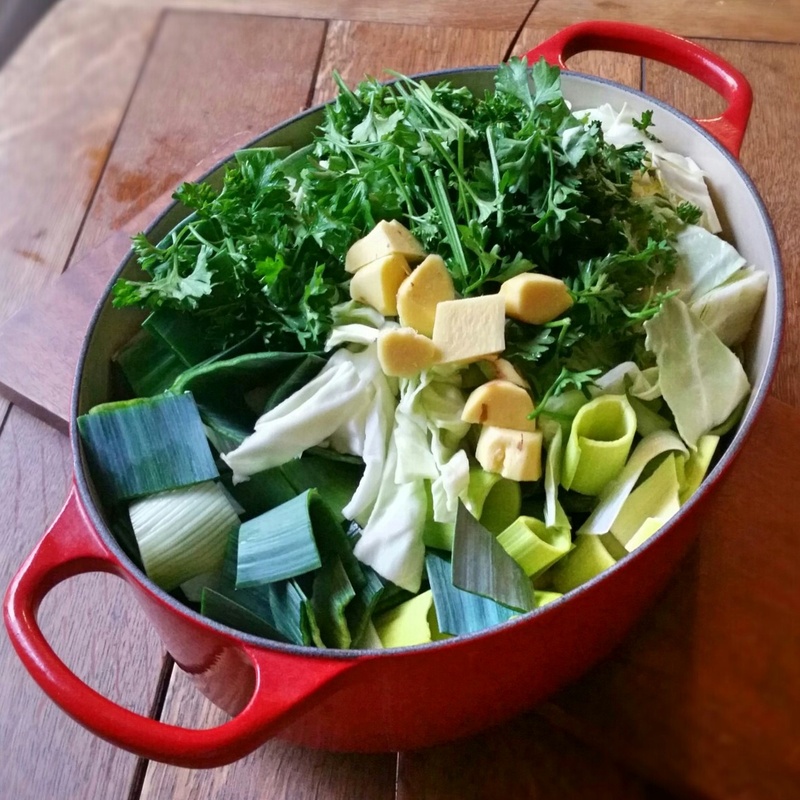 Place all ingredients into a large stock pot. Cover with 3 quarts of water and cook at a low boil for 90 minutes. I did not add salt or pepper, but you definitely can if you’d like. Store in tightly sealed glass jars/bowls in the refrigerator. Fresh Vegetable Broth is just what the doctor ordered on a cold day. It’s nourishing and comforting. It is packed with immune boosting vitamins and minerals. It’s easy to digest and tastes delicious. I like it to have a little extra spice, that’s why I use so much ginger. 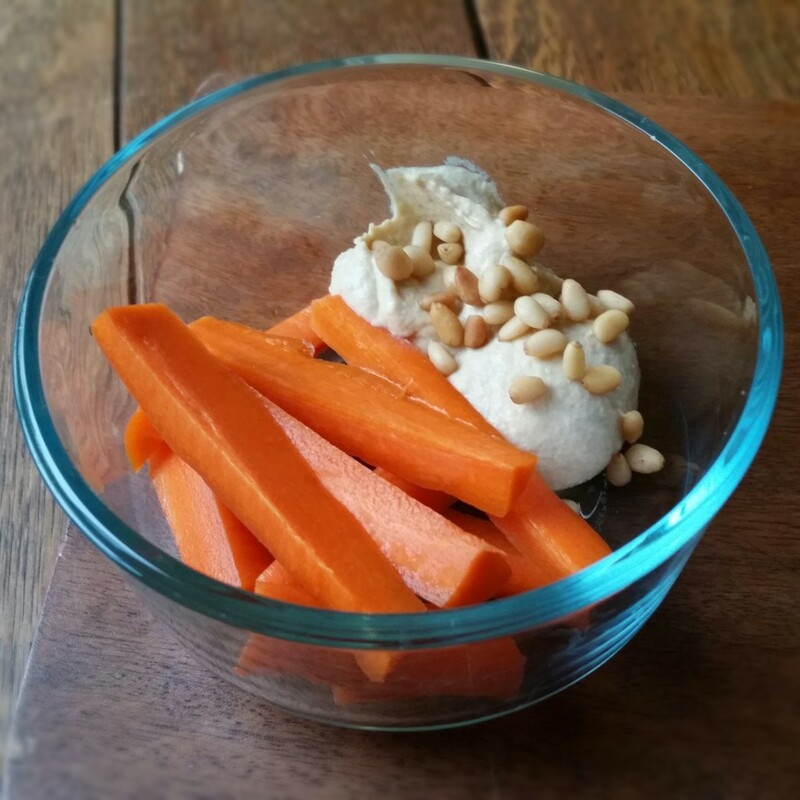 While my broth was simmering, I snacked on hummus + carrots + pine nuts. I have to measure out my 2 tablespoons of hummus–otherwise I’ll go overboard and eat way too much of it. I LOVE HUMMUS! I visited my grandma and she sent me home with a dozen chocolate chip cookies for Jonathan. I had to put them in the cupboard because I couldn’t stand seeing them on the kitchen table! Everything was tempting me today, but I survived! This morning when I weighed myself I was down 0.2 pounds. That means I’ve lost 1 pound in 3 days. That is a very healthy and safe pace to be losing weight. So cheers to that! All in all, I’m feeling really great. 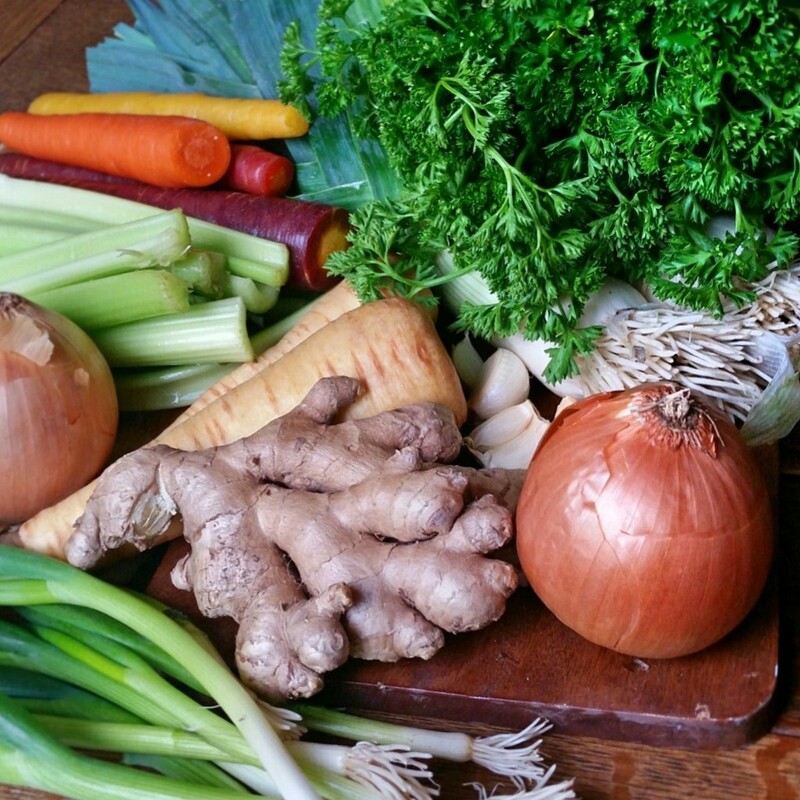 This entry was posted in 20 days of Real Food, Detox, Soup, Vegetables.